Uninhabited and protected as Natural Area and National Park Isla Contoy is located 30 miles north of Isla Mujeres , is also known as Bird Island because is the most important seabird refuge in the Mexican Caribbean. This island has a length of 5.4 miles and during winter times more than 152 local and migratory bird species could be fund here. It is common to see frigates , cormorants , herons , pelicans and terns . During summer time three species of sea turtles come to Isla Contoy for spawning , these are: hawksbill , loggerhead and white. The Ixlaché reef is considered the beginning of the Great Mesoamerican Reef , the world's second largest reef barrier. By staying uninhabited vegetation is lush being the mangrove what covers 70% of its surface. This mangrove forest is the natural habitat of birds , reptiles , insects , crustaceans and fish. Only 200 people per day are allowed . These excursion begging around 9 am and end up around 3:30 pm. The journey from Isla Mujeres to Isla Contoy is about an hour depending on weather conditions. 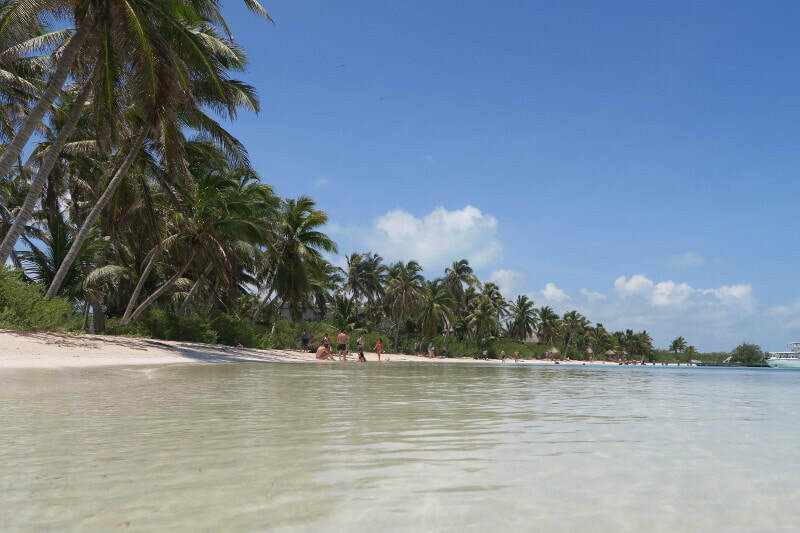 Be a part of this adventure in the Mexican Caribbean! This is an amazing day and an amazing experience because you will be visiting a virtually virgin island. This sanctuary holds a wide variety of birds, reptiles and of course sea life as fish, mantas rays, sea turtles and during the Summer times the majestic Whale Shark. Get ready for a day of fun, sun, water activity and tons of photo opportunities along the day. Navigate through breathtaking turquoise clear waters is a delight. Will you like to visit Contoy island traveling only with your family or friends and have a customized experience? Well what a better way then having a boat just for you. Even when Contoy visiting hours and rules are strict we will have room to add to the normal tour some exciting and creative moments, like snorkeling on reefs the regular tour doesn´t go or navigate along Contoy coast line to have a better look of this magnificent island. We will arrange for a wonderful day at sea on our private excursion, you will have a blast! Price is per boat and boat holds up to 10 passengers. Note: Contact us to check availability.